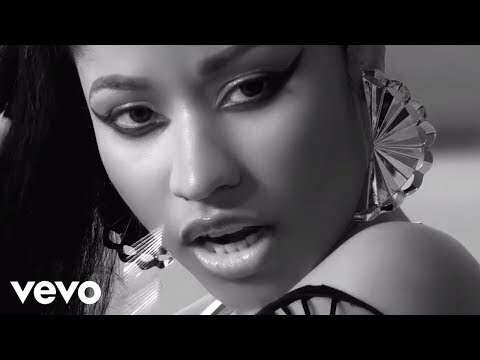 Onika Tanya Maraj (born December 8, 1982), known professionally as Nicki Minaj (), is a Trinidadian-born American rapper, singer, songwriter, model, and actress. Born in Saint James, Port of Spain, Trinidad and Tobago and raised in Queens, New York City, New York, she gained public recognition after releasing the mixtapes Playtime Is Over (2007), Sucka Free (2008), and Beam Me Up Scotty (2009). After signing with Young Money Entertainment in 2009, Minaj released her first studio album, Pink Friday (2010), which peaked at number one on the US Billboard 200 and was ultimately certified triple platinum by the Recording Industry Association of America (RIAA). Her sophomore album, Pink Friday: Roman Reloaded, was released in 2012 and debuted at number one in several countries. Minaj made her film debut in the 2012 animated film Ice Age: Continental Drift, followed by supporting roles in The Other Woman (2014) and Barbershop: The Next Cut (2016). In 2013, she was a judge on the twelfth season of American Idol. Her third studio album, The Pinkprint, was released in 2014. Early in her career, Minaj was known for her colorful costumes and wigs. Her rapping is distinctive for its fast flow and the use of alter egos and accents, primarily British cockney. Minaj was the first female artist included on MTV's annual Hottest MC List. In 2016, Minaj was included on the annual Time 100 list of the most influential people in the world. As a lead artist, she has earned four top-five entries on the Billboard Hot 100: "Super Bass" in 2011, "Starships" in 2012, "Bang Bang" and "Anaconda", both in 2014. Throughout her career, Minaj has received numerous accolades, including six American Music Awards, eleven BET Awards, three MTV Video Music Awards, four Billboard Music Awards, a Billboard Women in Music Rising Star Award, and ten Grammy Award nominations. She has the most Billboard Hot 100 entries among women of all genres in the chart's history. 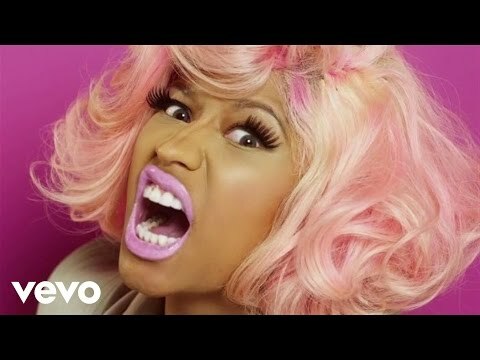 Minaj has sold 20 million singles as a lead artist, 60 million singles as a featured artist, and over five million albums worldwide, making her one of the world's best-selling music artists.